A Deep Sympathy! 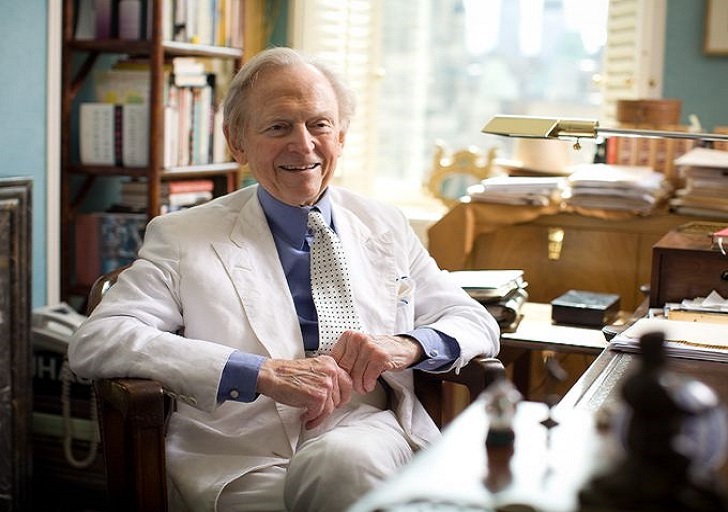 Tom Wolfe, a prolific journalist and novelist, best known for books like The Bonfire of the Vanities, has died on Monday, May 14 in a Manhattan hospital at the age of 87. His death was confirmed by his agency Janklow & Nesbit Associates' agent, Lynn Nesbit as he said Tom had been hospitalized with an infection and he passed away battling it. The 'The Electric Kool-Aid Acid Test' author had been living in New York since 1962 when he joined The New York Herald Tribune as a reporter. Tom was also known as a pioneer of a literary style in nonfiction, which later became known and famous as New Journalism. He first rose to fame for his essays and bold arguments along with his exhaustive reporting, peaking with the book The Right Stuff in 1979. The book was focused on the first American astronauts and the Mercury space program. Later in 1983, the book was later adapted into a film with Dennis Quaid, Sam Shepard, and Ed Harris. Eventually in 1987, Tom published his first novel, The Bonfire of the Vanities, in 1987. The book was later adapted into a movie by Brian De Palma in 1990. Rest in Peace Tom Wolfe!